Casa Bougainvilla is a villa located 5 km south of the charming village of Mahahual on the peninsula of Yucatan in Mexico. The house offers all the comfort and privacy you need for a wonderful holiday: private beach, beautiful nature, diving and snorkeling possibilities, fishing, bird watching, kayaking etc. 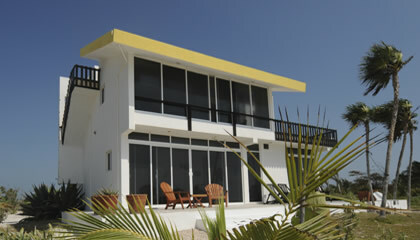 The villa has 2 apartments, the Beachfront apt and the Ocean View apt. The 2 apartments can be rented individually or together. 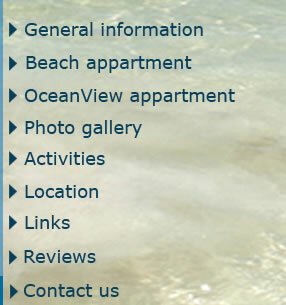 Beachfront, 2 bedroom app apt: $ 110 per day (min. 3 days), $ 660 per week. Holiday Season: Dec. 21- Jan. 4 : $ 1000 per week. Ocean View, 1 bedroom apt: $ 95 per day (min. 3 days), $ 570 per week. Holiday season $ 850 per week.